Kick-start your workout with the ‘Bleed and burn’ bundle, with Scitec Superhero to get you powered up, convenient whey sachets that you can carry on the go, all-important BCAA Xpress to give you your dose of amino acids and a free compartment shaker to shake it up. 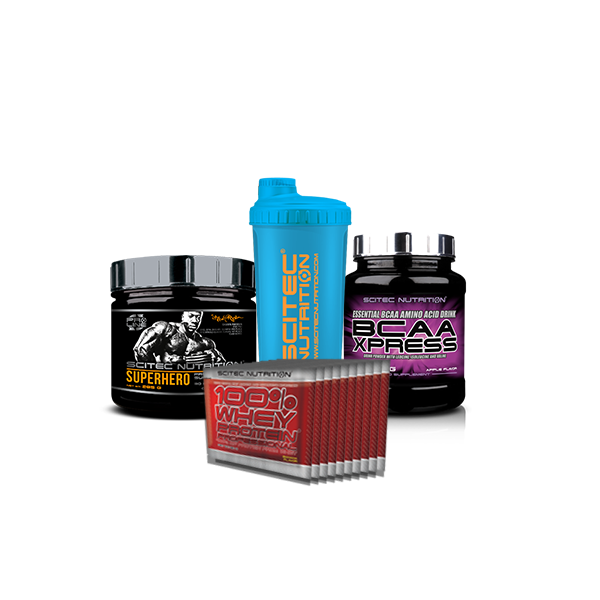 Worth £95, get this great deal from us for just £44.99 – this bundle is too hot to handle. We offer a wide range of delivery options, including ‘express’ for when you need a product fast! You may return most new, unopened items within 30 days of delivery for a full refund or product exchange.